In 142 BCE, Cyprus was one of the countries that safeguarded Jewish rights at the request of the Romans. Cypriot Jews seem to have participated in a rebellion, in 177 CE, against the Mare Nostrum (Mediterranean) Empire ruled by Trajan. After the revolt had been crushed, Jews were strictly forbidden to set foot on the island, but this prohibition did not last long. In medieval times, the Jewish traveler Rabbi Benjamin of Tudela mentioned the existence on the island of Rabbanite and Karaite Jews and of some heretical Jews called the 'Epikursim', whom the Israelites have 'excommunicated' in all places. The 'Epikursim' apparently celebrated Sabbath on Sunday, quite uniquely. In 1878 Cyprus came under British rule. Between 1883 and 1897 there were some attempts to enlarge the Jewish community with immigrants coming from Romania and Russia, but with no great success. In 1901 the Jewish population of the island comprised 63 men and 56 women. Until the 1930s, their role on the island was therefore only marginal. During World War II and the Shoah, Cyprus played a pivotal role for the Jewish communities of Europe. After the rise of Nazism in 1933, hundreds of Jews escaped to Cyprus. In 1941 the British began to evacuate the island, mainly women and children, out of fear of a German invasion, and its Jewish citizens were also evacuated. After the liquidation of the European concentration camps, the British established detention camps in Cyprus for Shoah survivors who were caught attempting to enter British-ruled Palestine. From 1946 until the establishment of the State of Israel in 1948, the British confined over 50.000 European Jewish refugees on the island. Once the State of Israel was created, most of them made Aliyah. Nowadays, some 350 Jewish families live in Cyprus, many of whom arrived in recent years for professional reasons. Half of them are Israelis, the rest mostly British or Russian. Since 1948, only a tiny number of Jews have lived in Cyprus. By 1970, there were only 25 Jews on the island. At different times the Israeli Embassy has served as the place for communal activity, such as religious services. In 2005, the Jewish community inaugurated the island's first synagogue and ritual bath in the seaside city of Larnaca. After the establishment of the State of Israel, an Israeli Consulate was opened in the British protectorate of Cyprus. 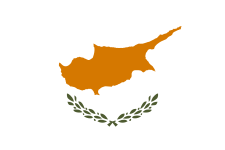 When Cyprus reached independence in 1960, diplomatic relations were established on ambassadorial level. The political situation in the Middle East also fostered mass-tourism from Israel to Cyprus and different non-governmental ties e.g. agricultural and wider technical cooperation. The recent discovery of significant Gas Fields in the waters between Cyprus and Israel have led to further cooperation in the field of resource exploration and exploitation, and has resulted in a strengthening of commercial and diplomatic ties .